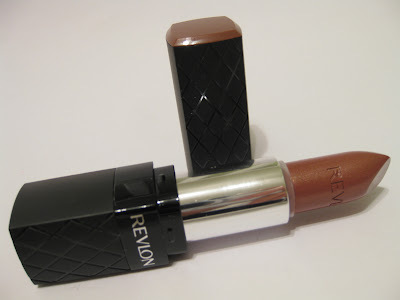 I picked up a Revlon ColorBurst Lipstick in Hazelnut during my last CVS trip because they were clearanced out at just $2.62 a pop -an amazing value if you ask me! I thought Hazelnut would be perfect for this week's Nudey Tuesday.. The Packaging: Revlon's ColorBurst lipsticks are packaged matte black tubes that feature a quilted design. Gorgeous isn't it? Well the only not-so-great part is that the quilting detail alternates -it doesn't wrap all around! That cheapens the case for me but it's still all in all a nice case. The lipstick name is located on the bottom of the lipstick and at the top, there is a colored square representing the lipstick color inside. The brand's name in imprinted onto the actual lipstick bullet giving it a sophisticated touch. 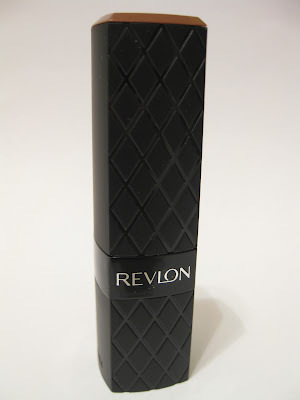 The Product: I already raved about Revlon's ColorBurst lipsticks before but I'll say it again -they're my favorite drugstore lipsticks at the moment. They even feel and look better than some lipsticks from high end brands. 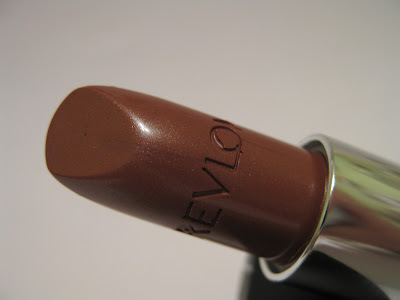 The lipstick is non-drying (but not necessarily moisturizing) and keeps my lips soft, feels light on the lips, glides on smoothly, and is pigmented and buildable. 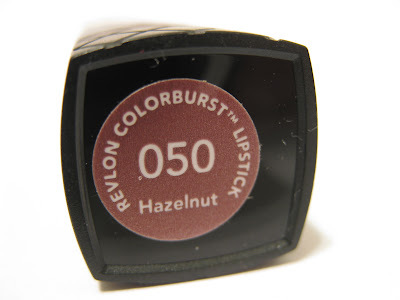 The only thing that makes Hazelnut different from other ColorBurst lipsticks is that it has a slight funky scent (I don't detect a scent in the other shades that I've tried like Carnation, Peach, and Lilac.) 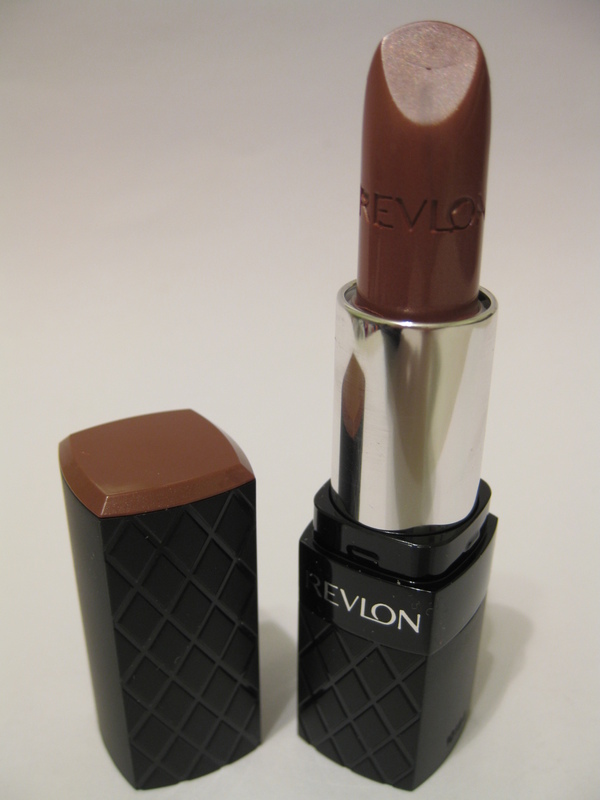 The new Revlon ColorBurst lipstick that I bought in Candy Pink also has this smell -it smalls kind of like sugar cookie dough with a dab of vanilla. BUT, it does not taste like anything (thank goodness!) 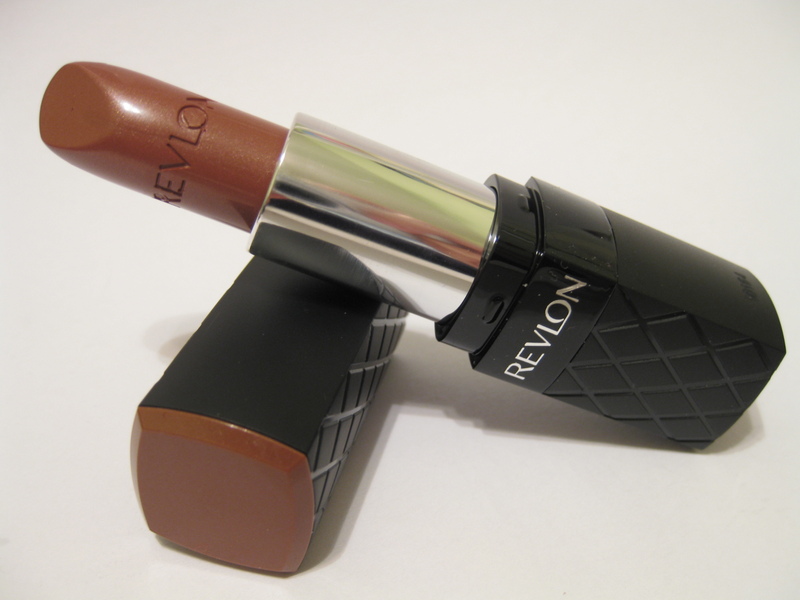 This particular shade in Hazelnut lasts for about 3.5 hours before fading away. 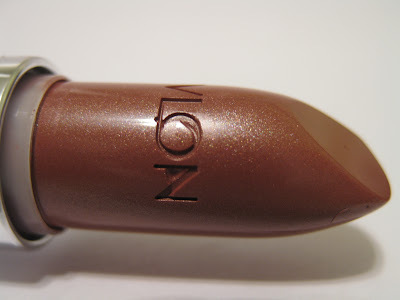 Beautiful color, I love dark colored lispsticks. I think this color looks good on you and I love the slight iridescent shimmer. I hate frosts, but I also don't like cremes that much either, I like just a little shimmer, and this one has it. I know you prefer lighter colors, but you ought to give this color a try in the evening, it might fit in with a more dramatic night time look when in dimmer lighting light colors might look washed out or invisible. @ nZ!.. I tend to prefer very light lipticks but I do think dark lipsticks are gorgeous -I think I'm just scared to wear them! @ luckiebeauty.. I agree. So far, I haven't tried any lipstick from the drugstore that's been better than Revlon's ColorBurst. @ Donna.. I absolutely agree with you. It's just that I'm kind of "scared" to wear dark lipsticks! I'm afraid that I won't be able to pull them off well. I think this would be wonderful for evenings out -but for the daytime, I just mix it with some lighter pink lipstick. I heard lots of people raving about those, and I have to say I just dont know which one to get! I want them all I guess haha! Too expensive, we dont have crazy drugtore like CVS! @ Ms Bubu..The regular price here is around $9 so they are on the pricey side -if you like a natural pink lip, I HIGHLY recommend Mauve which I will review soon.